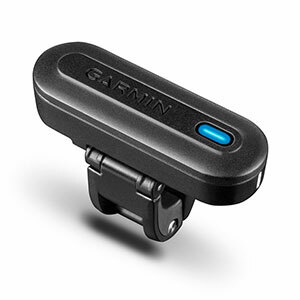 Garmin has released its first-ever golf club swing sensor accessory TruSwing. The small, lightweight and easy to use device has been designed to measure golfers’ swing metrics in order to help them improve their game, and makes the data available immediately. One thing which makes the TruSwing such an enticing device is the fact, unlike other swing sensors currently on the market, it is compatible with a variety of Approach devices. This means golfers can get instant swing feedback at their wrist after every swing. Golfers can also view information via the Garmin Connect™ mobile app on their smartphone or tablet. TruSwing doesn’t care if you’re new to golf or a seasoned veteran of the game, always offering advanced swing metrics on the screen of the wearers Approach watch for easy analysis just seconds after each swing. This helps players to stay fully focused on their routine and reduces unwanted distractions which can make swing training much more efficient and convenient. TruSwing also collects data to produce 3D swing animations through the Garmin Connect mobile app on a smartphone or tablet. The animated diagrams help golfers view side-by-side swing comparisons to analyse their data in real time. individual swings can also be analysed, and two swings can be overlaid on top of each other to compare and contrast. This allows golfers to learn about their own specific areas for improvement and they can share this data with friends or their golf pro to get guidance on what to change or improve. All data that’s collected is stored in one place within Garmin Connect. Each session is organised by date, so users can go back to see each individual swing, and how they’ve improved since then. Garmin Connect can show golfers’ overall cumulative stats, as well as stats per session, which can get broken down by clubs used. Golfers who use TruSwing with an Approach S6 watch will have access to the Advanced Swing Animations, which provides them with additional wrist path data to show where their forearm is throughout the swing. TruSwing only weighs 28 grams and measures just 6.7cm in length. It has an unobtrusive design which can be securely attached to any club below the grip. The robust attachment offers a firm grasp on the golf club, and the simple and quick mount design makes swapping between clubs as easy as switching on a light. TruSwing can run for up to 12 hours before battery life needs charging. TruSwing boasts an IPX-7 water rating, which can withstand the elements if golfers get caught in a sudden rainstorm. 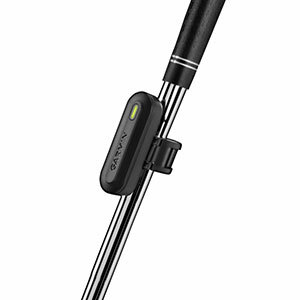 The Garmin TruSwing golf swing accessory will be available from American Golf soon, so keep checking back for updates.